Augustine displays a clean, modern, church website design with fresh typography that focuses on your content and mission. Augustine features a large, stationary hero image that begins at the top of the page, creating a strong visual interest from the top down. 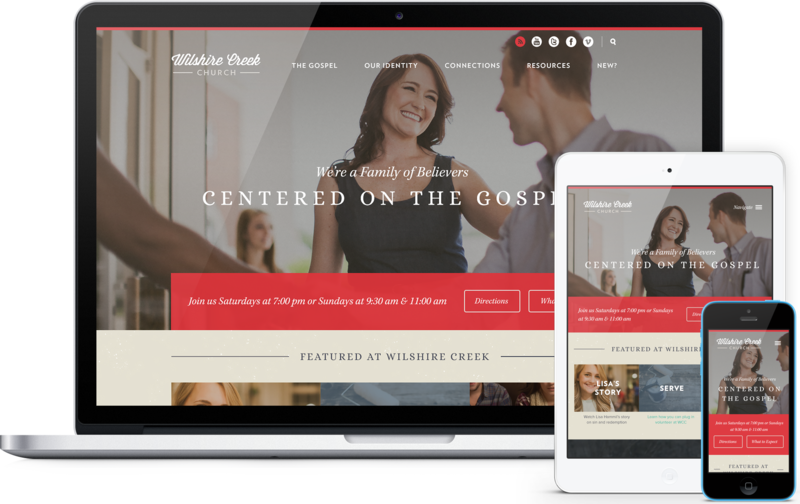 This website design was created for the church that wants to grab the visitor and give them helpful info like taglines, service times, and directions right up front. It also prominently features parallax scrolling with the hero image and subpage images scrolling at a slower rate than the rest of the page, giving a dimensional effect to your church website.